Ottolire, tra geometrie di antica provenienza: trulli e pietre a secco che oggi disegnano un luogo nuovo in cui la storia è sempre presente ma si fa modernità per accogliere il visitatore più attento. 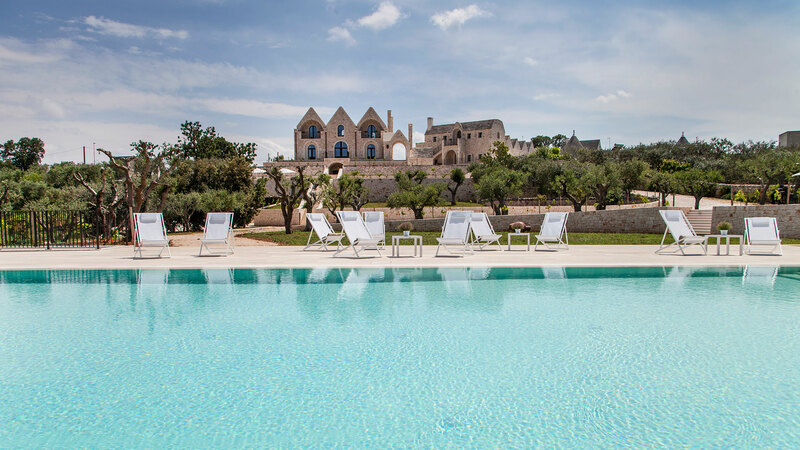 Ottolire Resort tells the story of an intense relationship with the proper stone of Itria Valley; a stone that has created dry walls, flagstones, even homes like trulli and cummerse. 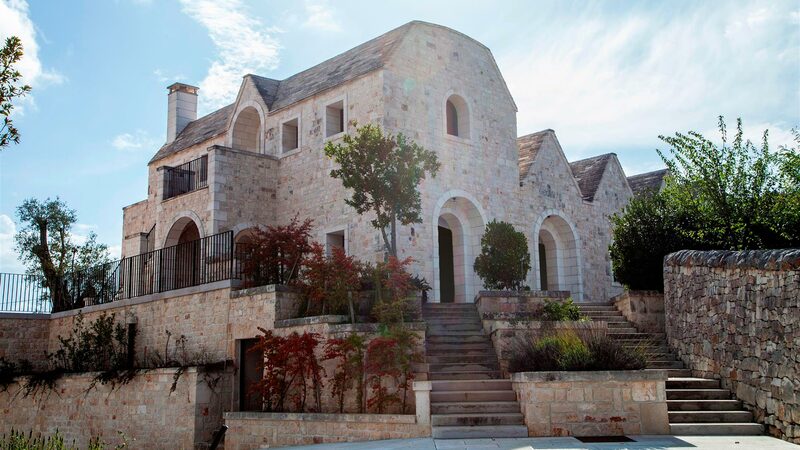 Ottolire Resort is the story of a family with a strong inclination for the recovery and conservation of stone buildings, typical of Itria Valley. In 1973, Michele (nicknamed “ottolire”) and Vita, little more than eighteen, were literally fascinated by a group of ruined trulli and bought them. With unlimited sacrifices and a lot of work they brought them back to life, taking advantage of the experience of his grandfather and the great-grandfather, both involved in the construction of trulli. Their sons, Erasmo and Antonella, grew here. Fortyfive years later, Erasmo and Antonella with Anastasia and Angelo, have brought once again this wonderful place back to life. There is an immense harmony of shapes and material at Ottolire Resort, among geometries of ancient origin: trulli and dry stones that today draw a new place, a place where history still shows its traces and yet turns into modernity in order to welcome even the most careful guest. The suite has been designed to accommodate guests in a refined atmosphere. The tones of the furnishings are delicate and immerse them in the most familiar idea of home, offering the opportunity to stop and read a book on the loft. Arranged inside a trullo, the Executive is a double bedroom with a unique and exclusive atmosphere. Essential lines, a fireplace, warm details and contemporary design make this room the place where to be seduced. Comfortable double or twin room, if necessary. 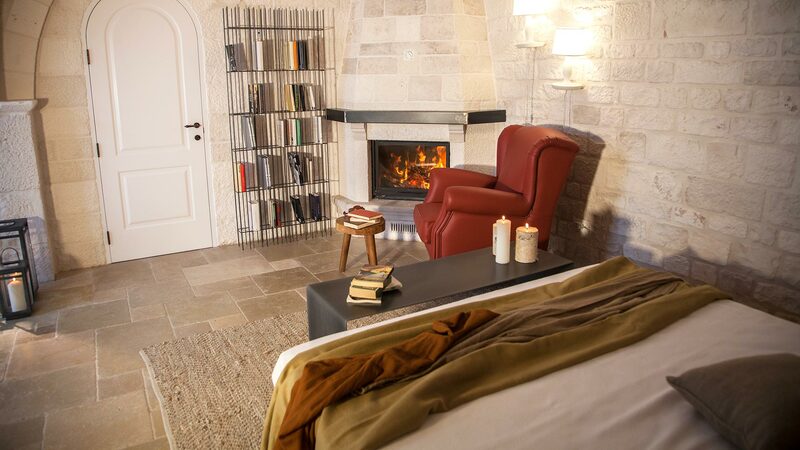 The Standard Room at Ottolire Resort is well bright and furnished with a sober and refined style obtained through a mix of stone colours and a modern, industrial taste. Arranged inside a trullo, the Executive is a double bedroom with a unique and exclusive atmosphere. Essential lines, a fireplace, warm details and contemporary design make this room the place where to be seduced. The Junior Suite at Ottolire Resort is well bright and furnished with a sober and refined style obtained through a mix of stone colours and a modern, industrial taste. Ottolire Resort offers an abundant breakfast that includes typical Apulian products next to the typical international ones. You can taste delicious products such as: local bread, organic jams, fresh seasonal fruit, salami and cheese from Puglia, eggs and cakes, also brioches, biscuits, corn flakes, yogurt, bacon and much more.